The Chartered Institute of Public Relations (CIPR) has launched a client adviser service to guide businesses through the process of hiring public relations support. The service connects businesses who want to hire PR talent or agencies with CIPR client advisers who can help businesses identify their needs and provide support, such as preparing job descriptions or briefs and joining interviews or pitch panels. In addition to the service, the CIPR has released guides that share best practice advice on how to recruit PR staff and select PR agencies. 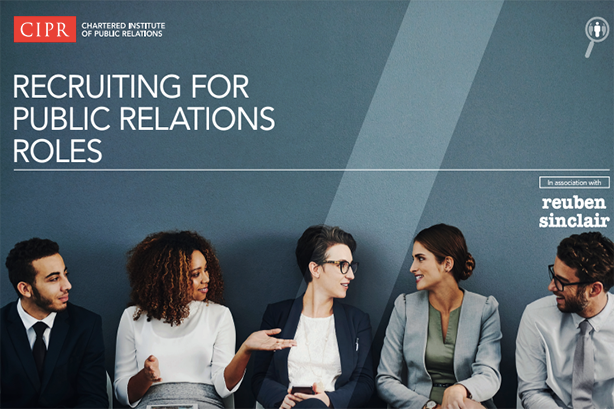 The guides, Recruiting for public relations roles and A guide to selecting PR agencies and independent practitioners, provides advice on how to conduct a recruitment process when hiring in-house PR talent and how to prepare a brief and invite pitches from PR consultancies. "Reputation has never been more important for businesses and yet public relations is sometimes misunderstood and undervalued by UK plc," CIPR president Emma Leech said. "The client adviser service, along with these new guides, aims to change that. The service takes the pain out of hiring PR support and gives businesses peace of mind when recruiting or hiring agencies. Our client advisers will work closely with businesses to ensure they get maximum value from their public relations function." The CIPR will officially launch the service at MHP Communications in London on 24 January.